SketchUp is 3D modeling software, and it’s an incredible tool for design, engineering, problem solving and visualization. When you know the basics of navigating the program and creating objects you can model anything. Scroll to the bottom of this page and visit the SketchUp Blog and SketchUp Tutorials pages for free tips and tricks for using SketchUp. Bob Lang’s book “Building Blocks of SketchUp” shortens the learning curve by focusing on the things most new SketchUp users struggle with. This book is in enhanced PDF format with embedded video lessons and is fully bookmarked and searchable. 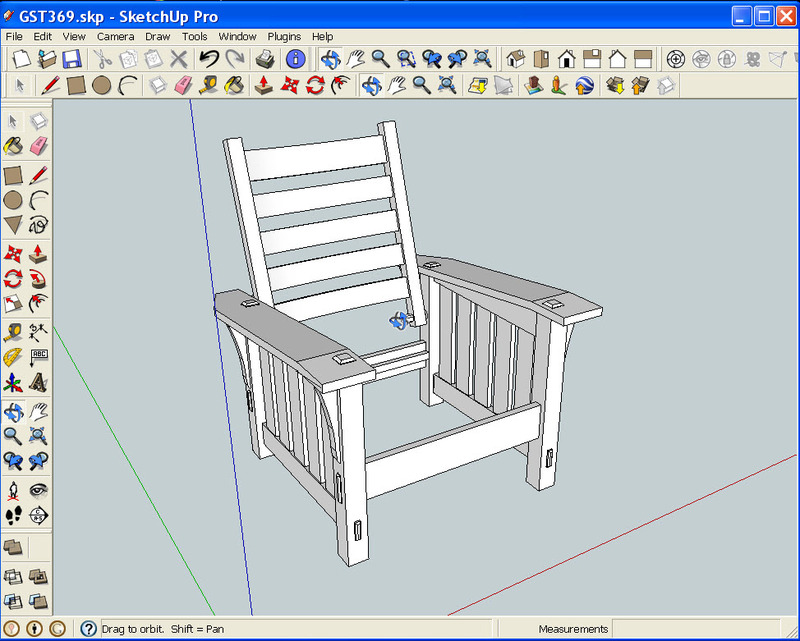 Bob Lang has used SketchUp extensively for designing woodworking projects, and as the basis for illustrations appearing in books and magazines. His digital book, the “New Woodworker’s Guide to SketchUp” integrates embedded video tutorials within the text. In preparing this book, Bob focused on the specific tasks that most woodworkers want to accomplish with SketchUp. In addition to his own work, Bob Lang teaches SketchUp, and is available to teach to your group or company. Here on our website you can find information about current classes, view free SketchUp video tutorials, read the latest articles with tips and techniques for using SketchUp, and purchase Bob’s books. Check our currently scheduled classes, or contact us to schedule a class for your school or group. Click Here for a Video Preview of the “New Woodworker’s Guide to SketchUp” with enhanced features-text and video combined in a PDF book available on disc or as a download.